A 3D version of the Cinema LED Screen has been unveiled to the world. 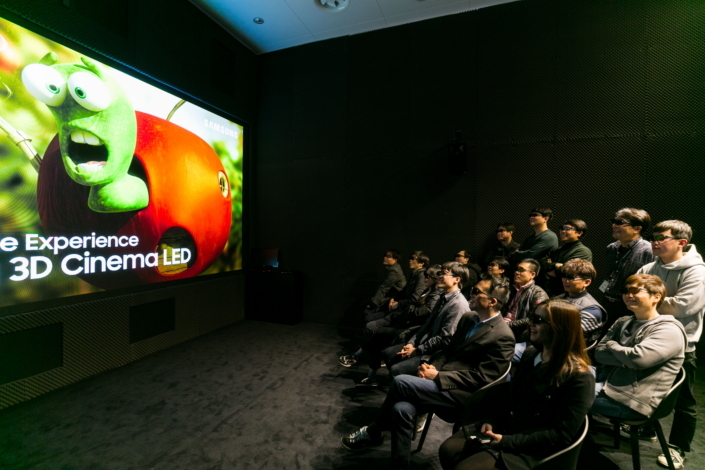 Samsung Electronics formally debuted its latest product at ISE (Integrated Systems Europe) 2018, the largest commercial display exhibition in Europe, which began on February 6 in Amsterdam, Netherlands. This is the second time that Samsung showcased a ‘first of its kind’ screen after its first-ever Cinema LED that made its first appearance last March. 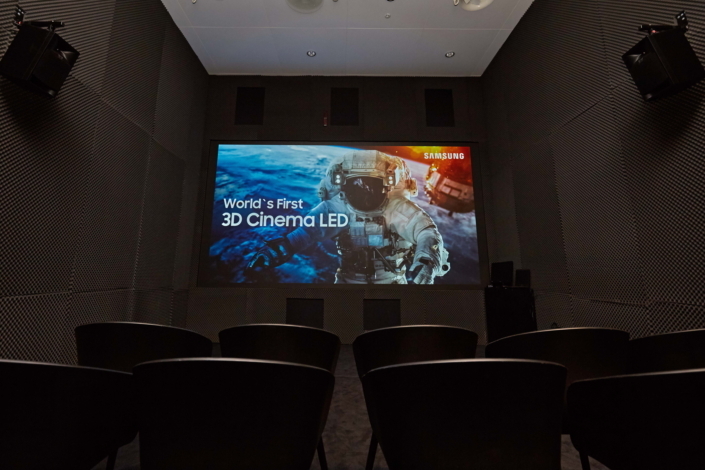 Samsung Cinema LED Screen has been acclaimed for overcoming the limitations of existing film projectors in theaters. Viewers have praised the screen for making them feel as if they are watching a 3D film, with its crystal-clear 4K (4,096 x 2,160) resolution picture quality, infinite ‘true black’ HDR, and non-distorted visual imagery. In less than a year, Samsung turned the viewers’ ‘feeling’ of watching a 3D film into a reality. The true 3D technology was incorporated into the Cinema LED Screen, which gives the ultimate 3- dimensional experience by utilizing the brightness and quality of Cinema LED as it is. 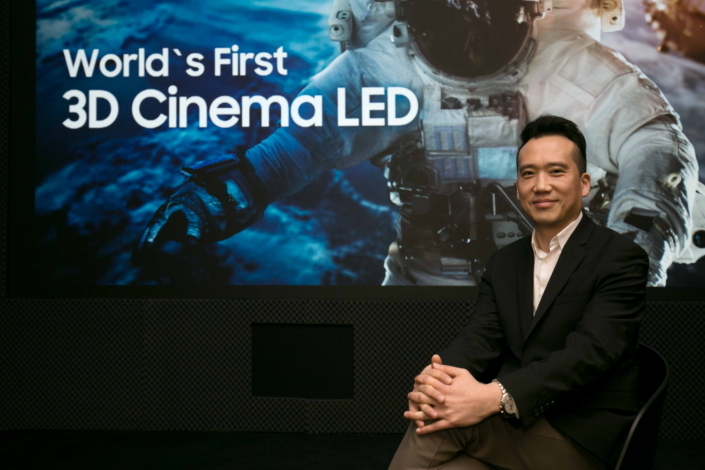 Samsung Newsroom met with Dongsoo Koo, from Samsung Visual Display Division’s Enterprise Product Planning Group, who participated in the whole process of bringing the 3D Cinema LED into the world. The principle of a 3D video is quite simple. There’s a gap between our two eyes, the 65mm disparity between the right and left eye. This ‘binocular disparity’ adds three-dimensional sense to the visual information that our eyes receive. The mechanism of a 3D video is essentially the same. 3D cameras are mounted with two different lenses. For the visual information taken with the two lenses of a 3D camera to be delivered to our two eyes, there should be two screens, too. But since only one screen can be installed, we need a technology to realize 3D video on that screen. Halving the scanline1 to deliver the video to our two eyes respectively can be one way or making the two videos intersect with each other at an extremely high speed can be another. 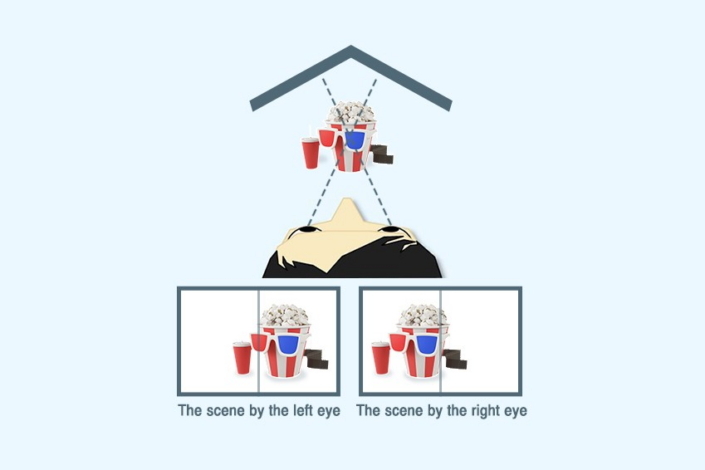 To get a three-dimensional sense, you need separate visuals for each of the left and right eyes and realize the two scenes on a single screen. Likewise, there are various ways of realizing 3D on a screen. However, the number one priority in 3D Cinema LED development was that no matter which method is adopted, the best level resolution of Cinema LED Screen should be maintained. This was what kept Samsung up at night. It was not an easy goal. But Samsung’s know-how on 3D TV and the knowledge of Cinema LED created the synergy for the company to overcome the limitation on brightness and resolution of the existing 3D movie theaters’. 3D Cinema LED’s full and precise color refuses comparison any premium movie theaters. 3D technology makes movies to be more immersive, but it can also cause inconveniences such as dizziness and headaches. The 3D Cinema LED screen has significantly improved dizziness that specifically involves 3D. There are two reasons for the dizziness. The dizziness from the content itself occurs due to the mismatch between the reality and what our brain recognizes. That is, our body is sitting still but our brain thinks the body is moving. In addition, when we stare at a certain screen for more than two hours in a dark room, it is natural to develop a headache. 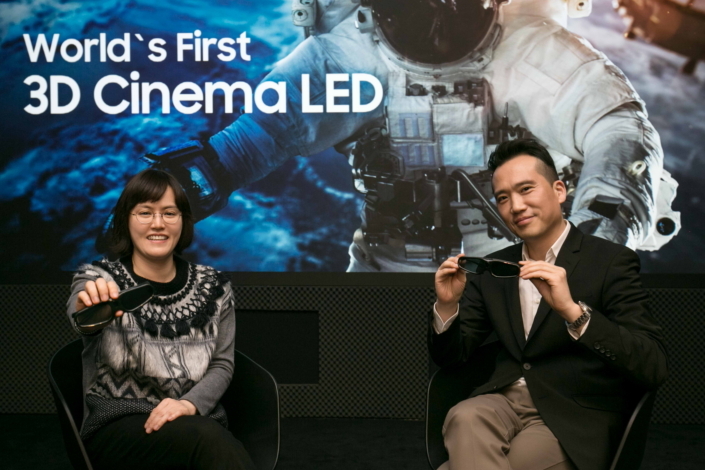 Mr. Koo (right) from Enterprise Product Planning Group and Sandy Kim (left) of Enterprise Marketing Group are introducing the advantages of 3D Cinema LED, which can be enjoyed with the highest picture quality without dizziness. For theaters to be a space that continuously delivers new experiences, the 3D Cinema LED is expected to play a bigger role. “People say ‘Seeing is Believing.’ One might not believe until seeing something, but once seeing it, there’s no denial. I think this applies to 3D Cinema LED, too. Before experiencing it, some might doubt whether there is an actual difference. But once they experience the new technology of ours, people will believe and understand that it is totally different. This year’s ISE will be the first moment of that unique experience,” said Koo, adding that soon people will be able to enjoy the ultimate 3-dimensional experience through 3D Cinema LED Screen. While nothing can compare to actually being there, this video captured the 3D cinema LED screen over 3D glasses. The film is a trailer for “Valerian and the City of a Thousand Planets”.